Brazil has set aside a day to honor Jewish immigrants to the country. 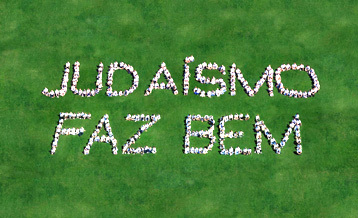 Brazilian Vice President Jose Alencar signed a measure setting March 18 as Jewish Immigration Day. The date coincides with the re-inauguration date in 2002 of the Brazilian synagogue Kahal Zur Israel, the oldest synagogue in the Americas. Brazil has some 120,000 Jews, the second largest Jewish population in Latin America after Argentina. After reading the news I did a quick survey of Brazilian Jewish history and discovered that there have been Jews in Brazil since after the Spanish Inquisition. Moroccan Jews immigrated in the 19th century and, of course, European Jews arrived during and after the Shoah. As this latest news indicates, the Brazilian Jewish community clearly continues to thrive into the 21st century. If you’d like to celebrate, JDub records has helpfully provided some choice jams from the contemporary Brazilian music scene in honor of this news. Parabéns! This entry was posted in Immigration, Judaism, Religion, Sephardic Judaism on December 26, 2009 by Rabbi Brant Rosen.